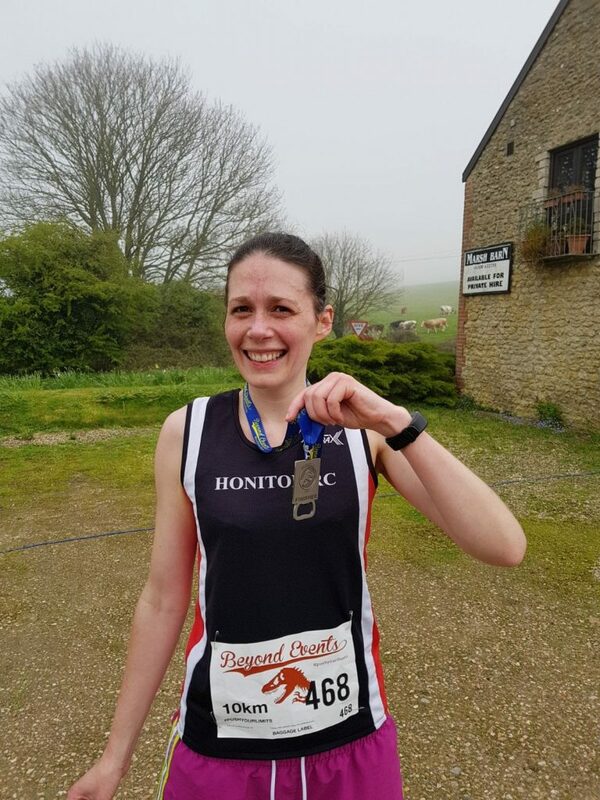 This off road race organised by Beyond Events was in Bridport and it headed out towards West Bay on the coastal foot path, I chose to do the 10 km race, but there was also a 5 km and a half marathon race. I was really looking forward to this race as it was new and if the sun was out there would be beautiful views of the sea plus three other members of the club were running. Like any race I was nervous and off road can be tough if it is muddy and wet under foot so slightly worried about this as I didn’t really like Kilmington. All week we were expecting hot temperatures with bright sunshine. However on Sunday we ran under cloud cover and it only started getting humid halfway around which made the conditions pleasant. I wore only shorts and my club vest and for the first 30 minutes my body was warm but my hands were going numb and I wish I had worn my gloves. 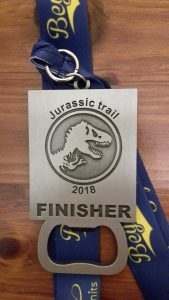 I really enjoyed the first half, the ground was hard, the route was undulating with the hills being runnable and there were lots of gates to pass through which interrupted your pace. Just before the 5 km mark we were running towards a hill, looking at it I thought I would have to walk but no, I slowed my pace and really enjoyed the hill. The gates became a slight issue when runners were heading away from the hill and there were runners heading towards the hill. This was only for a short section and I have to say that all the runners I met held the gates open for me or I did it. If the second 5 km was like the first it would have been an absolutely brilliant race, but alas no. Before the first of the two big climbs we have a short section of shingle to contend with, which I am used to as I regularly run Seaton Park Run. The two big climbs were tough on the legs and everyone around me walked up them as this was the quickest option. The down hill that followed this climb was a nice down hill, steep but runnable if you watched your footing. A long flattish section of the route followed and I managed to pick up my pace again, we then joined on to the 5 km route. Along came the second steep climb, again I walked, however the drop down the other side was really steep and it got me a bit nervous. I gingerly walked down it, concentrating hard on were I was placing each foot as I didn’t want to sleep and turn my ankle. If this was a training run I might have been on my hands and knees in places, yet when you have men running past you, well you try to be brave; I did over take one of these men down the road. Once at the bottom of the hill we were on the final straight, the first road section which led to the events car park which appeared quicker than anticipated, so I should have pushed my pace a bit more at this point. We hopped through a gap in the hedge, turned the corner and the finish line was in view. The finishing straight was in the field and it was a slight incline to the line, I had two women just ahead of me and I was determined to beat them. I might have over taken them slightly too early but I only had 15 meters to go, I held on, they didn’t speed up and I did beat them. All races start at the same time, an up hill start with a bottle neck to contend with within the first couple of minutes. After this there is a nice long flat and downhill section to follow which winds itself through a caravan park, this is great as you can settle in to your pace. Shortly after this there is a short climb with the 5 km cut off to follow, the 5 km runners bare right and everyone else runs upwards and onwards. Just before the half way mark you enter a beach car park/shop area and here comes the first big hill, this hill is runnable if you just slow the pace. The second half is the tougher of the two, yes there is some nice flattish segments but there is also two big steep climbs. These two big hills are steep and for most of us runners it was quicker to walk up them. What goes up must come down; the first down hill was runnable although you just had to be aware of your footing. However the second downhill was really steep which most runners walked down gingerly. 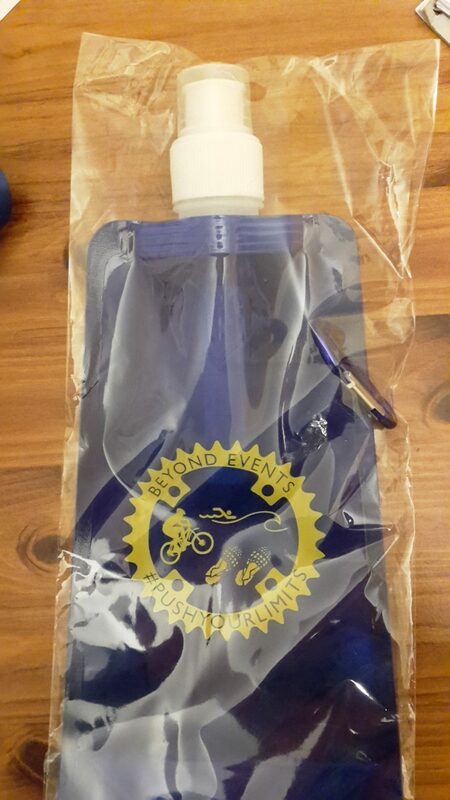 Before the second steep climb you run past a water station and you join up with the 5 km route. It is then a short flat road run to the event car park, you hop through the hedge and then the finish stretch is off road with a very slight incline to the finish line. At the finish line the 10 km runners are happy whereas the half marathon runners carry on loop around the field before running the whole of the 10 km route again. 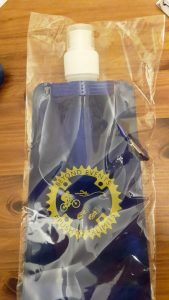 When you collected your number you were given a flat reusable water bottle, then at the finish you were given your bottle opener medal. The photographs were online within a couple of days and these are free to download. Great organisation on the day, flags outside on the road directing you to the event and the car park and plenty of signs directing you to registration, toilets and the start. There were a lot of marshals out on the course which was a welcome sight although there were not very vocal. Good social media presence, runners were asking questions on social media in the days leading up to the race and these were promptly answered. Yes I would as it was well organised, you get a decent medal plus a memento, relatively cheap (under £20) and it was a great route. With there being two additional races too, the 5km and the half marathon this means that it caters for everyone so a group of you can go and all run different races.